With the aim of preventing Serzh Sargsyan, who gave up the post of President to Armen Sarkissian on 9 April, from being elected as the Prime Minister, on 31 March Nikol Pashinyan initiated a protest movement in Armenia’a second biggest city Gümrü. This protest movement, which was not very significant in the beginning, increasingly expanded and became a public movement that immersed the entire country especially in 14 April. In the parliament that mostly constituted the Republican Party of Armenia (RPA) (58 of the 105 seats), to which Sargsyan was the leader, after 17 April when Sargsyan was elected as the Prime Minister the opposition outside the parliament expanded more instead of fading. On 22 April, this tendency continued despite that Sargsyan refered to the events in 1 March 2008 when ten people lost their lives according to official numbers, during which he spoke softly but carried a big stick, and Nikol Pashinyan, Ararat Mirzoyan and Sasun Mikaelyan were taken into custody as the leaders of this protest movement. Sargsyan, who saw that the protests were continuing increasingly, that on top if it some soldiers had left their posts on 23 April to join the protestors with their uniforms, probably predicted that the protests would increase even more on 24 April and reach a point beyond controlling and stated that he resigned from the prime ministry that same day. Following Sarkisiyan’s resignation, Pashinyan, who has previously pointed arrows towards Sargsyan with Merzhir Serjin (‘Refuse Serzh’) slogans, changed his slogan this time and began targetting the RPA to which Sargsyan was the leader and constituted the majority of the parliament that would determine the prime minister on 1 March. After this, Pashinyan’s aim was to ‘save’ Armenia from the RPA. Pashinyan who was a single candidate in the election on 1 March did not get elected as the Prime Minister as he did not receive the necessary 53 votes from the RPA MPs in the parliament with 105 seats. Following this, as a necessity of the Constitution, a new election was to be made in the parliament on 8 May. From the 1st to the 8th of March the pro-Pashinyan protests continued without losing pace. Meanwhile, the RPA and its coalition partner the Armenian Revolutionary Federation (ARF) had announced their withdrawal from the coalition and that they would support Pashinyan’s candidacy as prime minister. Similarly, the Tsarukyan Bloc, which is the second big group in the parliament with 31 seats and generally acts jointly with the RPA, announced its support to Pashinyan. Seeing that the public movement lead by Pashinyan has reached a point of no return, political powers began adjusting according to the new situation. However, the sum of the chairs of Yelq lead by Pashinyan, the ARF and the Tsarukyan Bloc was only 47 and that was why there was a need for some of the votes of the RPA members of parliament to reach the 53 votes necessary for Pashinyan’s election as Prime Minister. Ultimately, being unable to further endure the pressure from the streets and/or reading the political process well and by realizing that if Pashinyan did not get elected an early election would come to the fore making it possible to lose the majority in the parliament, the RPA stated that some of its own members of parliament will vote for Pashinyan for him to become Prime Minister. In the end, in the parliament election on 8 May Pashinyan was elected as the Prime Minister with 59 votes. After this process we have briefly summarized, with Pashinyan being elected as the Prime Minister, the public movement that emerged in a very short time and massified quickly in Armenia had won a significant victory. Hence, it is possible to observe a belief that a bloodless revolution, with the popular definition an Armenian ‘velvet revolution’, was accomplished and happiness and trust as its outcome. However, with Pashinyan being elected as Prime Minister a process has been completed in which street protests have left their mark and extra-parliamentary dynamics are effective. On the other hand, a new and probably much more complicated process has began in which inner parliament dynamics will rise to prominence and will be full of issues for Pashinyan. Before going through the difficulties that this new process will create for Pashinyan, it will be helpful to briefly review who Nikol Pashinyan is, who is not well known in the public opinion. Nikol Pashinyan, who was born in the Armenian Northeastern city Icevan, came to Yerevan in the early 1990s to study journalism. Here Pashinyan was expelled due to absenteeism as he joined the political movement lead by Armenia’s first President Levon Ter Petrosyan. Despite this, Pashinyan, who began his journalism career in a ‘scornful’ way, founded and assumed editorship of the Haykakan Jamanak (Armenian Journal), which was the most efficient oppositional newspaper in Armenia during a period in 1999. During his period as a journalist, in 2004 Pashinyan’s car that was parked in front of the newspaper’s building had burst into flames. Pashinyan considered this as an assasination attempt and accussed oligarch Gagik Tsarukyan, the president of the Prosperous Armenia Party (PAP) that is the leading party of the Tsarukyan Bloc in the parliament. Pashinyan had published news of corruption regarding the Tsarukyan Bloc. On February 2008, after the conflictual elections in which Serzh Sargsyan was elected as President for the first time, according to official figures after the election ten people had lost their lives from the events in 1 March 2008. Pashinyan was wanted because of these events and he lived as a fugitive until June 2009. Pashinyan turned himself in on June 2009 and served time in prison until the amnesty in May 2011. During his student years that he could not complete, Pashinyan began closely following politics as an oppositional journalist. In the 2012 parliament election, he became a member of parliament candidate for the Armenian National Congress (ANC) lead by Levon Ter Petrosyan. In the election in which Sargsyan’s RPA received %44.2, Gagik Tsarutkyan’s PAP received %30.12, the ANC became third by receiving only %7 of the votes. Despite this, Pashinyan was able to enter the parliament. Pashinyan, who had entered the parliament, left the ANC in 2013 and established the Civil Contract Party (CCP). During the next parliament election in April 2017, the CCP joined the Yelq (Way Out) Bloc formed of the Enlightened Armenia and Republic parties. This bloc reached third place with %7.78 of the votes, after the RPA that received %49.19 of the votes and the Tsarukyan Bloc that received %27.36 of the votes. Pashinyan was able to be a member of parliament in this election as well. A month after this, Pashinyan received %21 of the votes as a candidate in the Yerevan City Council election. The victor of this election was Taron Margaryan from the RPA who received %71.25 of the votes. The table below which displays the results of the three elections that Pashinyan, who became the Prime Minister in 8 May, had joined between 2012 and 2017 will be helpful to better understand his political report card summarized above. Table 1) Results of three of the elections that Pashinyan joined between 2012 and 2017. As it can be seen, neither the ANC lead by Levon Ter Petrosyan to which Pashinyan was a member until 2012, nor the Yelq that he had lead since 2013 have been movements that can be considered successful in parliamentary politics. It can be seen clearly that in the Yerevan City Council election in 2017, Pashinyan was very behind his rival from the RPA. Therefore it can be claimed that even if the public movement that he lead in April and May was successful, before this Pashinyan was not a politician who had a chance for rulership, at least in the short-term. Similarly, the ANC and Yelq, to which he is a member and leader, do not have significant influence in the political and social fields. It seems that Pashinyan has succeeded in mobilizing the public by making the right move at the right time. Even if he makes a contradiction of emphasizing a non-violent ‘velvet revolution’ with a sports hat and cargo pants, Pashinyan who was successful in having a charismatic community leader image with his camouflage figured t-shirt, his backpack that makes one wonder what’s inside, his sun burnt skin, his long greying beard, his bandaged hand that had been injured while trying to cross a police baricade, put on his suit once again after he was elected as the Prime Minister on 8 May. From now on, Prime Minister Pashinyan will conduct his struggle in the parliament. At least that is the expectation ‘under ideal circumstances’. However, as the facts below indicate, it is quite doubtful for Pashinyan that the ‘ideal circumstances’ have formed. Therefore, it is not certain that Pashinyan will not return to the street. No matter how much it may seem that it has been overthrow in a short period of 1,5 months, it is clearly seen that the RPA had succeeded in receiving societal support that had increased for many years and was substantial. This was the case for the PAP as well. This situation can be clearly observed from tables below that display the presidential and prime minister election results. Table 2) Results of the parliament elections take took place in Armenia between 1999-2017. Table 3) Results of the presidential elections take took place in Armenia between 1998-2013. The summary above of Pashinyan’s political report card and the RPA and Tsarukyan Bloc’s rooted presence in the Armenian community are among the struggles facing Pashinyan. However, an objection can be made against this idea, stating that the ‘revolutionary situation’ can revolutionize the present balances. As stated above, when Pashinyan was leading the public movement he did not consciously assert anything other than the toppling of Sargsyan and afterwards the RPA and mobilized the public only based on these two aims. This was undoubtedly a correct choice and Pashinyan was able to lead mass crowds this way. However, during the first stage, Pashinyan had succeeded significantly by being able to mobilize the public ‘against something’ through a negative criticism. However, at this level where the negative criticisms have reached their targets, Pashinyan now needs to present a positive agenda to the public. Regarding this, it can be seen that Pashinyan’s discourse is formed in this period through the themes of ending the corruption in the country, establishing a clean society and politics. Considering the corrupt system that Armenia has been in, this could have a trait that could make the people follow him. However, the next step that Pashinyan should take is presenting a roadmap on how this will be achieved. It is exactly this point where Pashinyan’s struggles will begin. Pashinyan’s cracking down on corruption will cross the oligarchs that have been collecting unearned economic, societal and political income through the existing corrupt system. When this happens, how the oligarchs that have been feeding off the corrupt system will react to it will become an important question. It is among the possibilities that the RPA and Tsarukyan circles and the oligarchs connected with them, that have been ‘non-combatant’ up to this stage, may quietly retreat when the situations turn against them. Hence, Pashinyan, who is at a crossroads between various possibilities, made a noteworthy statement on 9 May aimming to sooth those who were afraid of the developments: ‘Serzh Sargsyan, who resigned under the national pressure, is still in the Republic of Armenia. This is also exceptional: I am happy about that and in my opinion that is the privilege of our movement because we did not aim to draw new lines of hostility in Armenia but to remove the existing lines and to create an atmosphere of solidarity’. On the other hand, Gevorg Petrosyan from the Tsarukyan Bloc had made a statement on 11 May on Gagik Tsarukyan having a right to have broad authority in the governance and social field due to the role they played in the government change. This shows that previous power holders are already trying to seize a part in the ‘new order’. These two situations, on one hand the oligarchs clashing against Pashinyan in various ways to protect their gains and priviledges, on the other hand them trying to seize roles in the newly formed political-societal environment to preserve their advantageous positions, will significantly complicate Pashinyan’s promise to confront the corruption and aim to create a clean society. The first possibility implys a struggle that will drain Pashinyan while the second possibility implies the probability that the corrupt order will continue in Pashinyan’s rule. Therefore, difficulties of making skillful maneuvers on the slippery floor of politics in his suit await Pashinyan, who had crossed the streets of Yerevan with rough steps. Time will tell if Pashinyan, who has been a part of an opposition movement that has not had a possibility of ruling until now, will be a politician that has the finesse, agility and experience to accomplish this. There is also a possibility that Pashinyan, who is certain of the support he will receive from the public and has made the changes and reforms he considered necessary for the government institutions and especially the security agency and judiciary, will take on a harsh stance towards the mentioned circles and attempt to discharge them. Regarding this, it is helpful to keep in mind that one of the first things that Pashinyan did after becoming Prime Minister is changing the heads of the National Secret Service and Police Department. As mentioned above, Pashinyan kept his discourses and mottos as narrow-scoped as possible, and he avoided discourses that might go far beyond opposition towards Sargsyan and ARF. 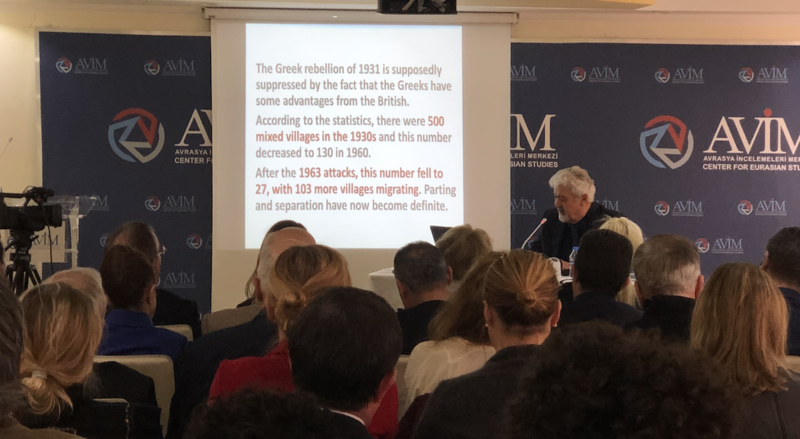 An important reason behind it was the aim of addressing, as widely as possible, a portion of the population that has not been pleased with the social and economic conditions in Armenia and mobilizing them. However, it is understood that there is another thought, or rather a concern, that directed Pashinyan to act like that. Pashinyan named the mass movements in Armenia as a “velvet revolution”. As it is known, the "velvet revolution" is the name given to the fall of the communist regime in the former Czechoslovakia in 1989 by peaceful means. It could be thought that "velvet revolution" naming by Pashinyan is a reference to the peaceful character of the movement in Armenia which is preserved very carefully. However, another thing that the definition of "velvet revolution" associates with is the regime change. As the movement gained popularity in Armenia, the question "Is that a Color Revolution" began being asked, additionally eyes have turned towards Russia to understand its reaction. While all of these were happening, Pashinyan rejected the metaphor of "color revolution" and started to make statements that the movements in Armenia were all about the internal affairs of Armenia and that there was no support received from outside. Moreover, Pashinyan also felt the need to express that when the movement succeeds, there will be no foreign policy change and that everything will remain the same in that area. It is understood from all of these that Pashinyan is highly worried about disturbing Russia and its direct or indirect interventions to Armenia. Essentially, Pashinyan is not wrong about his concern. Russia has almost all of Armenia's strategically important assets such as the railways and natural gas pipelines. Moreover, it has two military bases deployed in this country. These are the Russian tools that provides Russia with direct or indirect means to intervene in Armenia. This reality is a structural condition that narrows the political alternatives of not only Pashinyan but all Armenian politicians and statesmen. Hence, during the Eurasian Economic Union Summit held in Sochi on May 14, Pashinyan met with Russian President Vladimir Putin and stated that he hoped to establish closer political and military relations between Armenia and Russia. Yelq, led by Pashinyan, supports the integration with the EU by leaving the Russian axis. However, due to the mentioned reasons above, it does not seem possible in real terms for Pashinyan to take steps in this programmatic approach according to this foreign policy in the Yelq program. It comes to mind that this may be a factor in the loss of confidence in Pashinyan in the upcoming period, especially for the youth that is influenced by Western hegemony. In addition to this, Pashinyan's cracking down on corruption in the country will be a development that could damage the interests of the Armenian oligarchs, which are close with the Russian companies, and therefore the Russian companies’ interests. In such a case, it should be noted that there may be a reaction against the Pashinyan administration in Russia. All of these are the probable problems awaiting Pashinyan after the revolution. However, these underlined problems are mostly general and hypothetical predictions at some point. On the other hand, it is possible to make some analysis related to these general and hypothetical predictions but more solid than them. Foremost among them, as mentioned before, is the possibility of conflict between executive and legislative powers, or rather between government and parliament because of the RPA’s majority in the parliament. To understand this possibility, it will be useful to first look at the table below that shows the distribution of the seats in the parliament according to party and coalition. Table 4) Distribution of seats to parties and coalitions in the Armenian parliament. According to article 71 of the Armenian Constitution, except for some exceptional cases that require higher votes, proposed law drafts and amendments can only be enacted with simple majority of votes, in other words 53 votes in current parliament. However, the RPA has the majority of the parliament seats according to the table above. This means that RPA is able to reject all drafts proposed by Pashinyan’s government. In other words, RPA has the power to block all legislative activities of Pashinyan’s government without going beyond the constitutional framework. Thus, all attempts to fulfill Pashinyan’s promises of reforms could be sabotaged by RPA. It is seen that this situation is tying Pashinyan’s hand while providing significant negotiating power to RPA. As it can be remembered, one of the demands of Pashinyan during the protests was an early election in Armenia after the change of election law proposing the relative (proportional) system which mostly provides an advantage to RPA. Through this, Pashinyan wanted to overcome the problems mentioned above by breaking the majority of RPA in parliament. However, regarding this, there are two problems facing Pashinyan. Firstly, for changing the electoral system which is defined as "constitutional law", 3/5 of the votes in parliament or rather 63 votes are required. Reaching this number will only be possible for Pashinyan if at least 16 votes are received from RPA. The RPA decided on May 8th that some MPs would vote for Pashinyan so he could be elected Prime Minister. However, it does not seem possible for them to take a similar stance regarding changing the electoral system which may create a disadvantageous situation for themselves. Secondly, even if RPA does that, an early election would not seem constitutionally possible in Armenia. According to the article 92.1 of the Armenian Constitution, ‘extraordinary parliament elections’ can be on the agenda by the parliament’ dissolution if the conditions of the articles 149.3; 149.4 and 151 occur. The parliament dissolution situation described in articles 149.3; 149.4 and 151 of the Constitution can occur if the parliament can not a prime minister after two rounds of elections and the government program is not approved by the parliament. The Parliament has currently elected Pashinyan as the Prime Minister. So, the first possibility of the parliament’s cancellation is now out of the question. The second possibility being the Pashinyan government not receiving a vote of confidence from the parliament does not seem possible. Firstly, the government not giving Pashinyan a vote of confidence may set the streets in motion again and may cause the RPA to completely lose its reputation in the society. Secondly, the RPA that has been harmed gravely must be very aware that after an early election, it will not be able to maintain its seats in the parliament, thus it will lose its power in the parliament. Due to this, it is quite possible that they will give a vote of confidence to the Pashinyan government to abolish the possibility of an early election. Pashinyan holding a referendum regarding this subject is not constitutionally possible because of the 206. article of the constitution that brings the condition that the resolution proposed to be taken to a referendum must be constitutionally suitable. In brief, as long as it remains in the lines drawn by the constitution, it will stay in the current parliament until the next election in 2022. Taking into account all of these aspects, perhaps the only way for Pashinyan to reach his societal and political aims is to quickly place the precondition of the country going to an early election while the oppositional public movement is still filling the streets and having a decisive attitude on this subject. Regarding this, it can be thought that after Sargsyan’s resignation, Pashinyan’s foregrounding being elected as the prime minister by the parliament instead of an early election may have been a strategic mistake for him. Ultimately, if different ways that violate the constitution are not tested, it can be claimed that in the following period the conflict between Pashinyan and RPA will continue as a conflict in the parliament between execution and legislation. On the other hand, as mentioned above, Pashinyan, who has been exhausted from inner parliament politics, taking it to the streets again by putting forward the jammed system remains as a possibility. Following this analysis in which the politics of Armenia is evaluated after the ‘revolution’, it is important to address the structure of the Pashinyan government that has been forming lately. We can benefit from the table below. Tablo 5) The ministers in the Pashinyan Government. The Pashinyan government consistes of one Prime Minister, three Deputy Prime Ministers and seventeen ministers. The Prime Minister and two deputies are from Yelq. The third Deputy Prime Minister is not a member of any party. Eight of the seventeen ministers are members of Yelq. Six of them are members of Pashinyan’s Civil Contract Party. There are two ministers that are members of the ARF and the Tasrukyan Bloc, one minister that is a member of the Armenia Liberal Party which is a marginal party. Seven ministers are not members of any party. Table 6) The composition of the Pashinyan government according to party and coalitions. According to this, only %38.1 of government members are members of Yelq lead by Pashinyan. The ministers that are members of other parties constitute %23.8 of the government. The independent ministers constitute the %38.1. An important aspect that draws attention in this composition is that two ministers are from the ARF which was a coalition partner with the RPA until the ‘revolution’ and has an ideological stance that is very similar to this party. Similarly, there are two ministers from the Tsarukyan Bloc that has generally supported the RPA. Three of these four ministers have served in the previous RPA governments. Additionally, it can be seen that some of the independent ministers have previously served in the bureaucracy or as Minister or Deputy Minister. These facts create a contradiction with Pashinyan’s ‘velvet revolution’ and his statements of turning a new page in Armenia. On the other hand, aside from the romantic atmosphere, this is a table that reflects the real balance and politics in the country in a comprehensible way. Moreover, Pashinyan including people with government and bureaucracy experience in his own government will be helpful in overcoming the various struggles that await him. Having two members of parliament from the most rooted and efficient organization in the diaspora that is the ARF in the government may indicate that Pashinyan wishes to maintain relations with the diaspora. A positive and important aspect that draws attention in the Pashinyan government is that twelve of the government members, which is more than half, have masters degrees or doctorates. It should be underlined as another positive and important aspect that the average age of the government members is 42. The youngest member of the government is the Diaspora Minister Mkhitar Hayrapetyan who was born in 1990. The oldest member is the 52 year old Foreign Affairs Minister Zohrab Mnatsakanyan. The government generally consisting of young people with high education, will provide it with dynamism and the ability to interpret current affairs. Furthermore, two women being among twenty-one people does not present a positive picture regarding gender equality. As mentioned above, perhaps the most important reason why the Armenian people participated in the movement that Pashinyan initiated is the bottleneck in the country and the negative impact it had on the citizens’ quality of life. In this sense, one of the most important and difficult tasks that await Pashinyan is, as mentioned above, is to smoothen the country’s economy by ending the corruption that had disrupted economic development. When looking at it from this angle, it is seen that the selection of the minister responsible of the economy will be important for Pashinyan. Regarding this, Artsvik Minasyan from the ARF, who had served in the 2016 Sargsyan government as the Minister of Economic Development and Investments, has been brought to this position again. This draws attention and raises some questions. Another name that gets noticed in the government composition is the above mentioned Diaspora Minister Mkhitar Hayrapetyan. Hayrapetyan has a masters degree from the Yerevan State University Oriental Studies Faculty and is among the founders of the allturkey.am portal that focuses on Turcology studies. 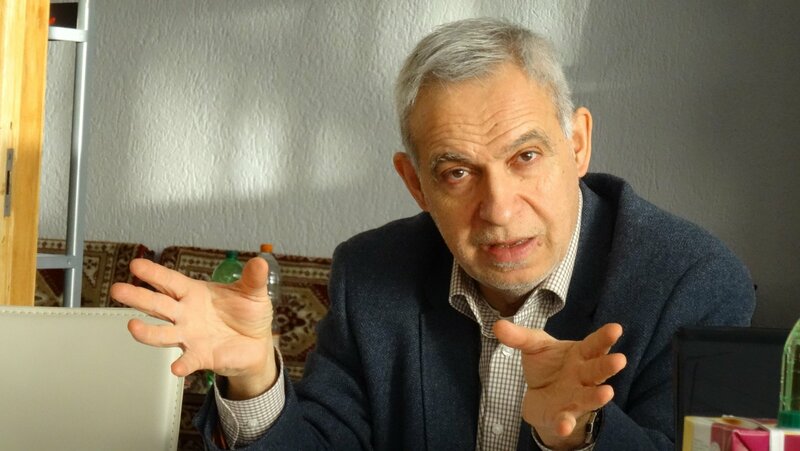 No matter how unqualified and ideological the Turkology studies generally are in the Yerevan State University Oriental Studies Faculty, a minister that has studied Turcology being present in the government can be a positive development regaring the Armenia-Turkey relations. Minister of Defence Davit Tonoyan and Minister of Foreign Affairs Zohrab Mnatsakanyan are also among the conspicuous names in the government. Tonoyan, who was the Minister of Emergency Situations in the Sargsyan government in 2017-2018, served for seven years as a Defence Minister Deputy before this. Thus, Tonoyan is a representative of the ‘old Armenia’ in the new government. In this sense, what kind of a new vision Pashinyan will bring to his ‘new Armenia’ is another question. The same question is valid for Minister of Foreign Affairs Zohrab Mnatsakanyan who was the Chief Negotiator of the EU-Armenia Association Agreement for four years during the Sargsyan government. Besides this similarity, another similarity between the Defence and Foreign Affairs ministers stands out. It is that they are people who know the Western World and Western institutions due to the previous careers of Tonoyan as the Armenian Armed Forces NATO Representative and Mnatsakanyan conducting the negotiations with the EU. These two names being part of the new government as important ministers is noteworthy in displaying the importance that Pashinyan places to the relations that will be established with the West. The prevention of Sargsyan’s prime ministership and Pashinyan’s election to this office is undoubtedly a very important success regarding the opposition movement that had been going on for a month in Armenia. However, everything in Armenia is not over yet and the ‘revolution’ is not complete. On the contrary, at the current level, it can be seen that a new and mure more complicated period has begun. There are two important subjects that await Pashinyan. Firstly, Pashinyan is faced with the task of actualizing the reforms that he had promised. At the helm of these reforms is confronting the corruption in Armenia and eliminating the corruption in economic and political fields. However, this will be a tougher process than it seems considering the societal, economic and political balances in Armenia. The second subject is about foreign policy. Pashinyan, who supports integration with the EU, will face very serious structural roadblocks that limit his elbow room. It is probable that issues in foreign policy will have reflections on domestic policy. No matter how defeated the RPA may seem at this stage, everything is not over yet. After this, the RPA will be waiting for the dynamism on the streets to fade on one hand, while on the other hand they will be looking for ways to spread the idea to the society that Pashinyan does not have the power and merit to fulfill the wishes of the society. In this framework, it is very likely that the RPA will use its weight in the parliament to disrupt the reforms that Pashinyan will need to sustain the public support that is backing him and, thus, ensure that the public support its rival receives increasingly drops. In the forthcoming process, it can be expected that the struggle between the executive and legislative in Armenia’s politics will leave its mark. It is probable that Pashinyan, who is having difficulties in this struggle, will edge on the constitutional framework and will gravitate towards the streets whenever he runs into trouble. However, the actualization of this kind of a situation can mean populism becoming dominant in Armenia where it has been creating instability. In such a political environment, the eligibility of the Pashinyan government is gaining significance. One of the salient positive aspects of this government is the young and highly educated staff. On the other hand, members of parliament from the ARF and PAP being present in the government and some of the independent government members being previous personnel of the former governments and bureaucracies is in contradiction with the velvet revolution discourse that is turning a new page in Armenia. In other respects, it can be seen that this preference of Pashinyan has understandable structural and political reasons. 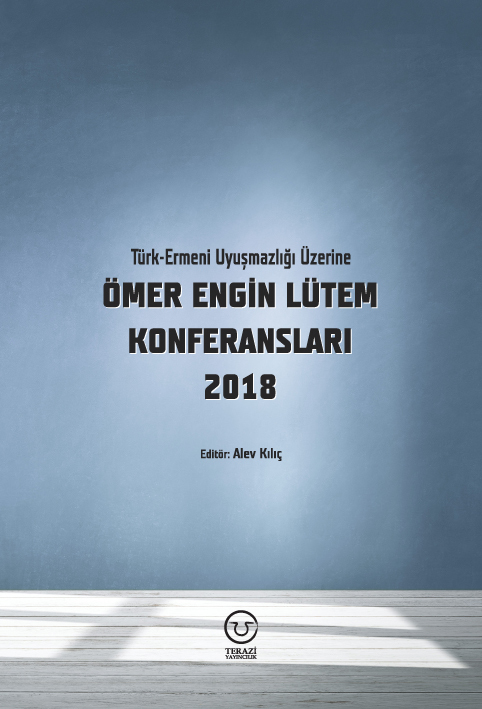 This analysis was first published in Turkish on 16.05.2018 at http://avim.org.tr/tr/Analiz/KADIFE-DEVRIM-SONRASINDA-ERMENISTAN-DA-SIYASET. 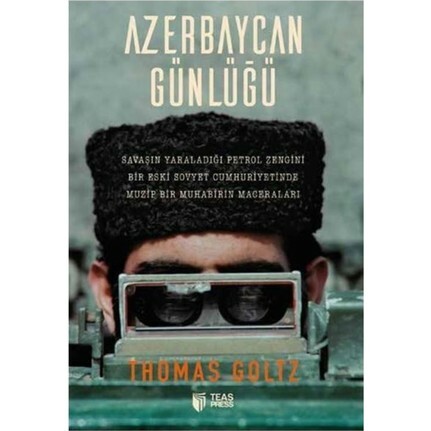 It was translated into English by Ahmet Can Öktem. In this election, an MP of the RPA voted for Pashinyan, one MP from RPA and ARF each, and two MP’s from the Tsarukyan Bloc did not join the election. Oliver Carroll, “Nikol Pashinyan: Who is Armenia's Protest Leader and Probable Next Prime Minister,” Independent, May 3, 2018, access date May 15, 2018, “https://www.independent.co.uk/news/world/europe/nikol-pashinyan-armenia-opposition-leader-prime-minister-biography-a8334861.html; “Who is Armenian Opposition Leader Nikol Pashinyan?” Aljazeera, May 2, 2018, access date May 15, 2018, https://www.aljazeera.com/news/2018/05/armenian-opposition-leader-nikol-pashinyan-180502113826029.html. Davit Abaghyan, “Nikol Pashinyan: Serj Sarkisyan is Still in Armenia, I am Happy About That,” Aravot, May 9, 2018, access date May 15, 2018, http://www.aravot-en.am/2018/05/09/212307/?utm_source=dlvr.it&utm_medium=facebook. Hripsime Jebejyan, “‘At Least 1/3 of Government, 17 Ministries, Must Belong to ‘Prosperous Armenia Party’: Gevorg Petrosyan,” Aravot, May 11, 2018, access date May 15, 2018, http://www.aravot-en.am/2018/05/11/212398/?utm_source=dlvr.it&utm_medium=facebook. “New Armenian PM Tells Putin He Wants Closer Ties with Russia,” New York Times, May 14, 2018, access date May 15, 2018, https://www.nytimes.com/reuters/2018/05/14/world/europe/14reuters-russia-armenia-putin-pashinyan.html. 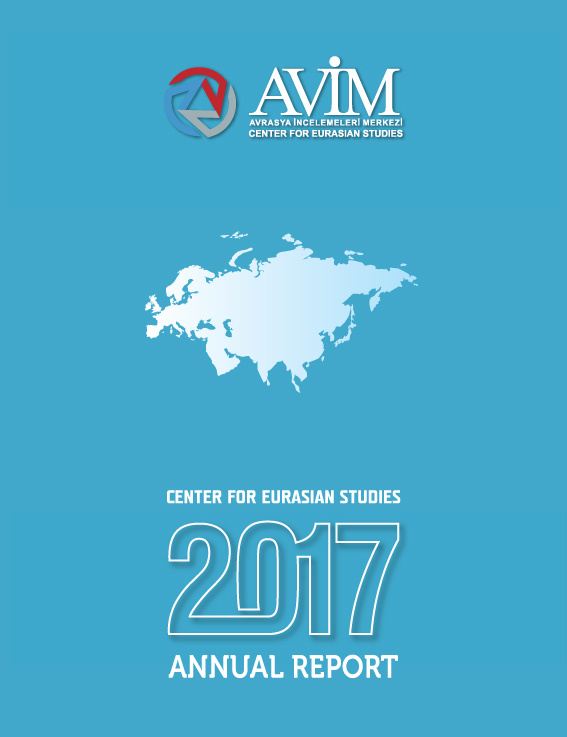 Turgut Kerem Tuncel, “2 April 2017 Parliamentary Elections in Armenia," Center For Eurasian Studies (AVİM), Analysis No.2017 / 16, April 14, 2017, access date May 15, 2018. http://avim.org.tr/en/Analiz/2-APRIL-2017-PARLIAMENTARY-ELECTIONS-IN-ARMENIA. For the full English text of the Armenian Constitution, see. http://www.parliament.am/legislation.php?sel=show&ID=1&lang=eng. Article 103.2 of the Armenian Constitution defines seven "constitutional laws". These are the Law of Parlimentary Practice Rules, the Law of the Election System, the Law of Judiciary Laws, the Law of the Constitutional Court, the Law of Referandum, the law of Political Parties, and the Law of Ombudsman. The official website of the government of the Republic of Armenia (http://www.gov.am/en/structure/); Ani Hovhannisyan, “Armenia's New Government: Short CVs and Contacts,” Hetq.am, May 12, 2018, access date May 15, 2018, http://hetq.am/eng/news/88792/armenias-new-government-short-cvs-and-contacts.html; “Armenia’s New Government: Who’s Who,” EVN Report, May 14, 2018, access date, May 15, 2018, https://www.evnreport.com/politics/armenia-s-new-government-who-s-who. 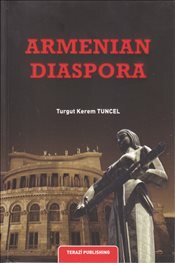 COMMENTS ON "THE PAN-ARMENIAN DECLARATION ON THE 100th ANNIVERSARY OF THE ARMENIAN GENOCIDE"